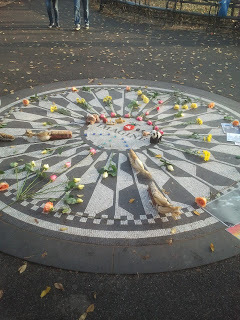 It's 32 years and three days ago today that John Lennon was murdered in New York in front of his apartment building. 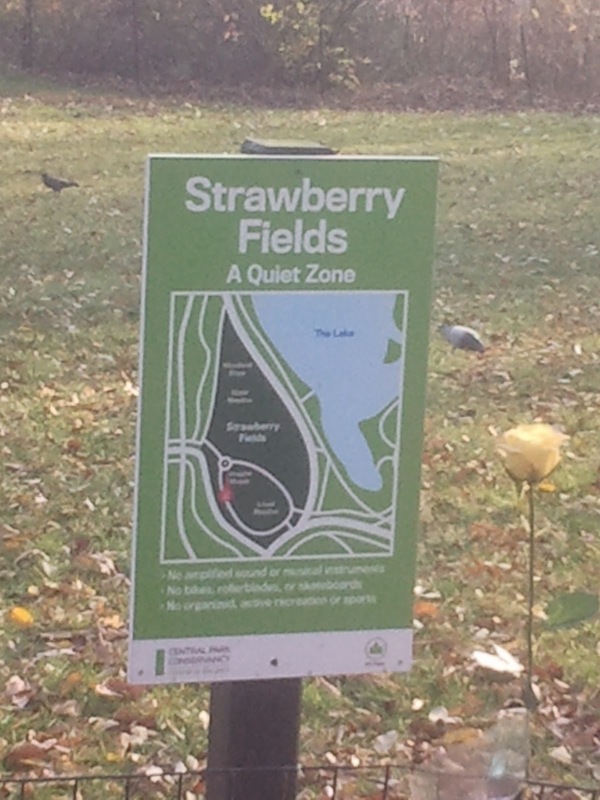 Last week I visited Strawberry Fields, the small part of Central Park dedicated to the memory of John Lennon, for the first time. I just sat there and read a little, caressed by a warm early winter sun. Unfortunately some hobo type hippie had made the place his own, pestering people with his presence, trying to coax them out of some money. Gone reflection and silence.It surprised me how many people turned up in the half hour I sat there. 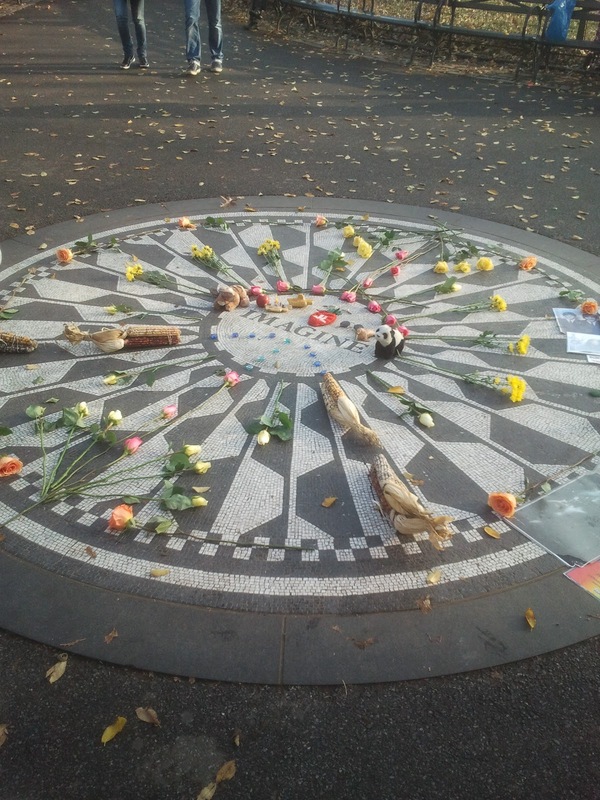 A constant stream of people paying homage to the ex-Beatle. On a Tuesday afternoon, early December, a nice and very bright day, but still. 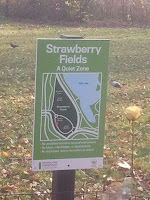 The memory of John Lennon is very much alive, just like his music is. I thought to share my two pictures with you, although they probably look the same like everyone else's. If I remember correctly I only heard about John's murder on the morning of 9 December at the 07.00 o'clock news waking me up to get out of bed to go to the job I had then. Totally shocked, as a part of my early youth died that moment. Where were you when you heard the news that day? You can listen to 'Imagine' here.